The Department of the U.S. Navy recently declared the Joint Standoff Weapon (JSOW) C-1 ready for full operational capability. All U.S. squadrons are now outfitted with JSOW C-1, the U.S. Navy’s first air-to-ground network-enabled weapon capable of attacking stationary land and moving maritime targets. «Formal declaration of full operational capability for JSOW C-1 is the final step in a phased approach to introducing this weapon and its capabilities to the fleet», said Commander Sam Messer, JSOW deputy program manager. «It is the culmination of a complete team effort to deliver not only the hardware, but the training, tactics development and support infrastructure to ensure we field a meaningful warfighting capability». JSOW C-1 reached initial operational capability in 2016. The program then began a series of four fleet-wide exercises that demonstrated the capabilities of the weapon in increasingly complex scenarios. The road to full operational capability began with RIMPAC 2016 where the JSOW training team executed a virtual network-enabled weapon mission during the harbor phase. The two-day training mission culminated in the loading of Super Hornet mission cards with the appropriate keys and JSOW files for Carrier Air Wing Nine (CVW-9) to fly a JSOW C-1 mission. 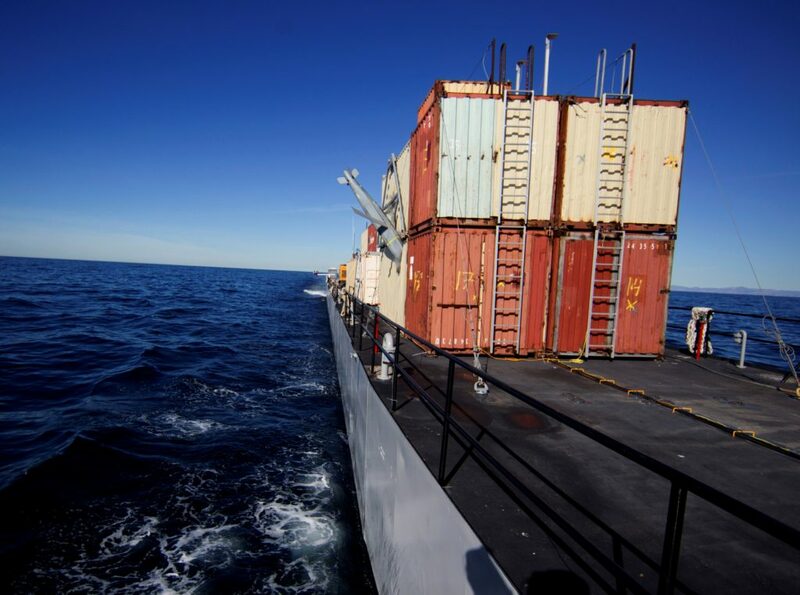 A month later, using real-time lessons learned from RIMPAC, CVW-5 executed the first operational shots of live JSOW C-1’s during the Valiant Shield 2016 SINKEX, resulting in high-order impacts and sinking of the former USS Rentz (FFG-46), Oliver Hazard Perry-class of guided missile frigate. 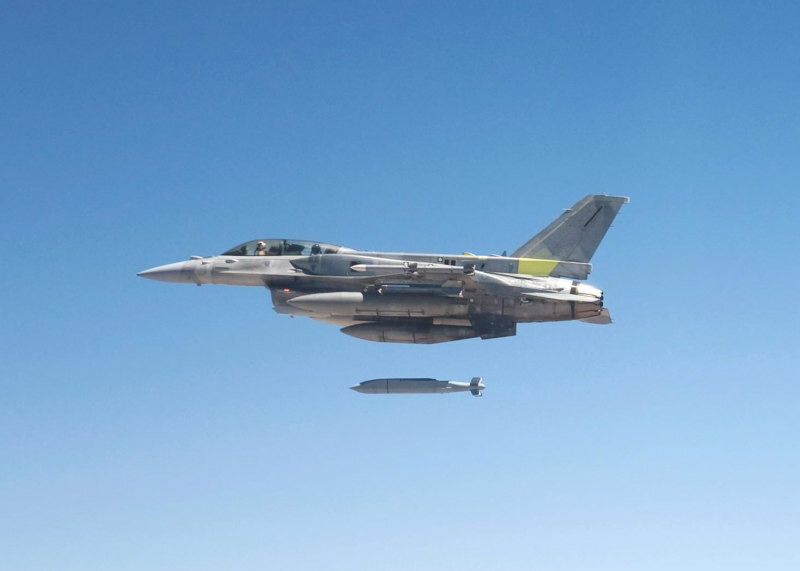 This event included multiple firsts for JSOW including the first ever operational employment of an air-launched network-enabled weapon and receipt of targeting data from the Littoral Surveillance Radar System (LSRS). In support of the SINKEX, the JSOW team delivered four Captive Air Training Missiles (CATMs) to CVW-5 in Atsugi, Japan ahead of schedule. Naval Air Facility Atsugi was the first fleet location to receive the JSOW C-1 CATM. Next, JSOW C-1 engaged in Northern Edge 2017, a contingency exercise that prepares joint U.S. forces to respond to crises in the Indo-Asia-Pacific region. During this joint forces exercise, at the Gulf of Alaska and around central Alaska, approximately 6,000 military members gather to take on the most challenging scenarios in the Pacific theater. Northern Edge 17 facilitated network-enabled weapon kill-chain Concept of Operations (CONOPS) development at all threat levels, including the contribution of off-board joint participants in tactical scenarios. The JSOW training team also delivered CATM training to Top Gun and the Naval Air Warfare Development Center at Naval Air Station (NAS) Fallon, Nevada, and CVW-9 at Naval Air Station Lemoore, California, in preparation for the exercise. Following Northern Edge, the JSOW team embarked aboard the USS Ronald Reagan (CVN-76) in support of coalition network-enabled weapon operations during exercise Talisman Sabre 2017. The biennial combined Australian and United States event is designed to train military forces in planning and conducting combined task force operations to improve the combat readiness and interoperability between the two militaries. Twelve maritime strike exercise events were conducted employing embedded Royal Australian Air Force (RAAF) Super Hornets with JSOW C-1 CATMs alongside their U.S. Navy counterparts. RAAF Super Hornets carried JSOW C-1 free-flight vehicles, while U.S. Navy Super Hornets were outfitted with JSOW C-1 CATMs. This latest JSOW variant includes GPS/Inertial Navigation System (INS) guidance, terminal InfraRed (IR) seeker and a Link 16 weapon data link. The U.S. Navy’s first air-to-ground network-enabled weapon, Joint Standoff Weapon (JSOW) C-1, has been delivered to the fleet after achieving Initial Operational Capability (IOC) in early June. Rear Admiral DeWolfe Miller, director of Air Warfare, made the announcement after JSOW-C1 completed operational testing against land and sea targets, adding this capability will provide more lethality and accuracy to the U.S. Navy’s already very capable deployed air wings around the world. 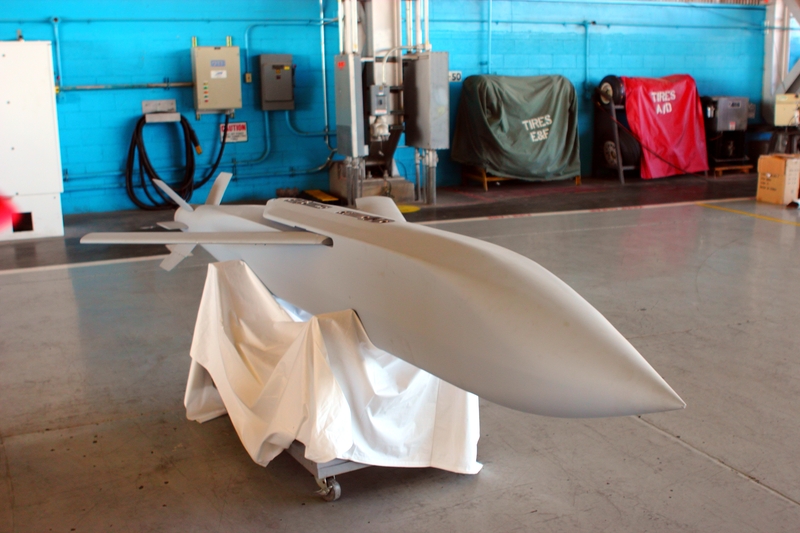 «As our mission’s focus shift, we are providing the warfighter with the first of several net-enabled weapons required to maintain strategic dominance over the Pacific», said Captain Jaime Engdahl, Precision Strike Weapons (PMA-201) program manager. «The JSOW C-1 is critical to the support of the Navy’s strategic vision of integrated warfare capability». The newest iteration of JSOW is integrated with a Link 16 network radio, enabling the weapon to engage moving targets at sea. The radio allows the launch aircraft or another designated controller to provide real-time target updates to the weapon, reassign it to another target, or to abort the mission. The weapon also uses a terminal InfraRed (IR) seeker and GPS/Inertial Navigation System (INS) for guidance. «The precision targeting of this weapon and its ability to receive real-time target updates makes it the fleet’s weapon for the fight tonight», said Commander Sam Messer, JSOW program manager. «JSOW C-1 provides the ability to engage our enemies at longer ranges and the flexibility to engage in direct attack even if enemy air defenses deny our aircraft access». The Raytheon-built weapon will be launched from F/A-18E/F and F-35A/C aircraft. Raytheon Company and the U.S. Navy have conducted a successful operational test of the new Joint Stand-Off Weapon (JSOW) C-1 gliding, precision-guided weapon. Conducted in a challenging flight environment, the test further demonstrated the capabilities of JSOW C-1 against a broad set of land targets. Launched from an F/A-18F Super Hornet at approximately 29,000 feet/8,839 meters, the JSOW C-1 flew a flawless, preplanned route before destroying its intended land target with precision accuracy. The challenging battlefield scenario included a well-defended target that used tactical countermeasures. «This test demonstrated yet again JSOW’s ability to deliver decisive battlefield effects with precision stand-off capability against some of the most challenging land targets facing our warfighters», said Celeste Mohr, JSOW program director for Raytheon Missile Systems. «Naval aviators also recently employed JSOW C in a tactically realistic, cave-defeat scenario that included heavy radio frequency countermeasures. The result was two direct hits». The new JSOW C-1 combines the proven, precision, stand-off land attack capabilities from JSOW C, with the new, state-of-the-art Link 16 data link to also engage moving maritime targets. The JSOW C-1 variant adds a two-way Link 16 data link to engage and destroy moving targets, as well as stationary land targets. This initial operational test shot was preceded by seven-for-seven, equally successful employments against both stationary land targets and maritime moving targets during the developmental and integration test phases. It paves the way for the next phase of operational testing against large and small maritime moving targets. JSOW C and C-1 are designed to provide fleet forces with robust and flexible capability against high-value targets, at launch ranges exceeding 62 miles/100 kilometers. JSOW is a family of low-cost, air-to-ground weapons that employ an integrated GPS-inertial navigation system with highly capable guidance algorithms. JSOW C prosecutes fixed land targets and uses an imaging infrared seeker for increased accuracy in the terminal phase. JSOW C-1 adds the two-way Link 16 data link enhancement, enabling additional target sets with moving maritime target capability.